Teenage is a period of confusion, high energy, physical growth, and academic progress. 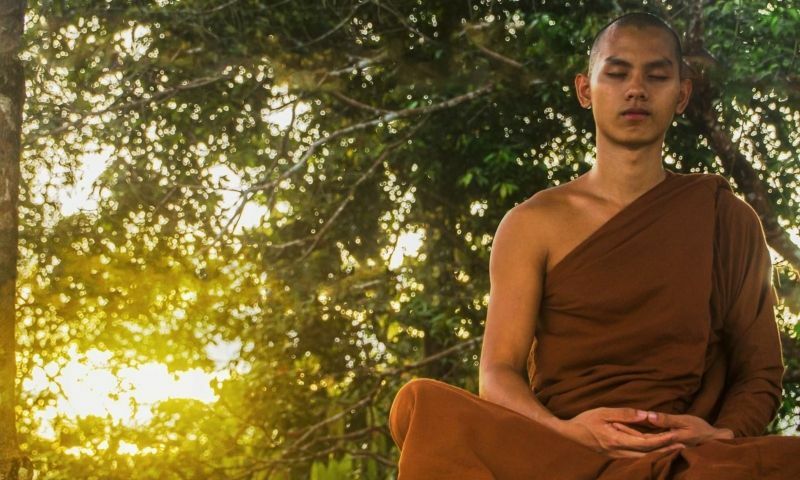 New and adventurous generation of 2019 has grown up on cosmopolitan culture. It is natural for these youngsters to aspire to success in different fields of human endeavor. Creative pursuits and financial dreams have no restrictions, and teenagers are not exempt. They too can contribute to the economy, build a stronger nation, and achieve professional success. As per the study carried out by Millennial Branding and Internships.com, 72 % of high school students desire to start their own business. 61% desire to start a business just after the college. Young students can earn, learn, and gain useful experience through meaningful work. 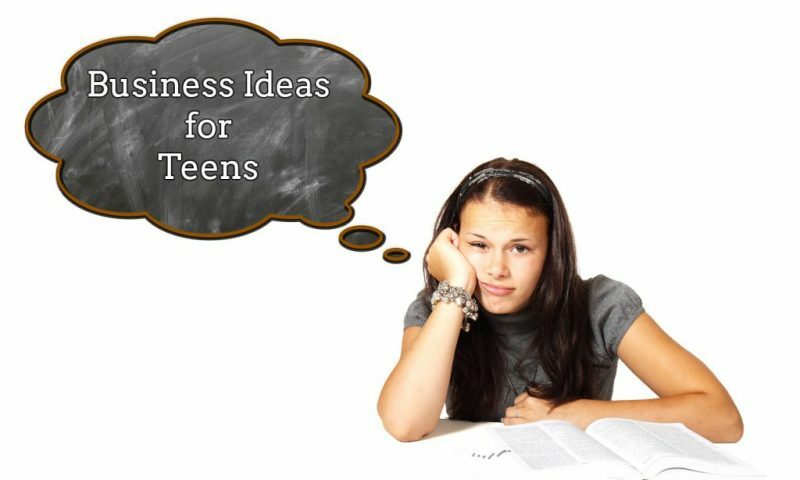 The following 21 business ideas are a practical guide to the teenager’s success which they can start while studying in high school. You can become a YouTube Personality to gain a lot of fame, experience, and money. You can make the videos of kids toys, games, educational courses etc. Storyboard and shoot high-quality videos to showcase your artistic talents but if not possible then you can start shooting videos with your mobile phones too. To start with, you need to make your mind on the niche on which you would like to make videos. You can choose something that attracts you the most, for example, if you love cooking, you can make videos of dishes you are expert on, you can review technology like laptops or mobiles, you can make comedy videos, or you can even make pet videos. Nowadays, reviews of toys and games are also getting so much popularity. You can try your hand on this as well. It completely depends on your interest because if you do so, you will give your best possible efforts in it. After doing this, you need to upload the recorded video on Youtube, but in order to make your YouTube channel monetize, you need to meet the criteria decided by the YouTube. But make sure you upload your videos consistently and if possible choose a space day of the week so that your subscribers remain ready for you. As per the YouTuber’s Statistics, 91.4% of students believe that, on the whole, YouTube is a “positive” aspect of our society so you can even make videos for which have stuff for other teenagers. The business of greeting card making is an ideal business for teenagers and it can make you some quick money too. Making as well as selling handmade greeting cards grants the opportunity to build a significant income. Handmade cards are very preferred and popular and a lot of people like to present handmade cards to mark birthdays as well as other special occasions. Handmade cards symbolize love and dedication and it creates much deeper feeling of closeness, this is the main reason why these are the most preferred than the readymade ones. If we talk about Greeting Card Market Size, 7 billion greeting cards are bought every year. Every year retail sales of greeting cards are estimated to be more than US $7.5 billion. Blogging has not just popular with the people having 25+ age, but teenagers can also make their career with this. A study conducted in 2010 by Pew Research Center found that over 50% of teenagers text message every day, with one out of three sending over 100 text messages each day. For the teens who require more than 140 characters to express their thoughts, blogging provides an opportunity for them to share their feelings and ideas on a broad range of subjects. In order to start blogging, you first need to decide the niche on which you will pursue blogging. This completely depends on your interest and proficiency. Assess your inner qualities to find out something on which you can write with continuity. You can make blogs on gaming, fast food dishes, latest toys, latest news for teens etc. Do remember one thing choose niche and demographics wisely as your target market because those are very crucial in defining your income in long learn. Once you decided the niche, you need to purchase a domain name and web hosting for the website and then you have to create a website on which you can post your blogs. You need not to develop any website if you are not a tech-savvy. You can use CMS like WordPress, Zoomla, Drupal etc. Once you got the traffic you can earn money by Google Adsense or you can even earn from affiliate marketing. Portrait Photography – Snap individuals in various profiles, poses, clothes, and settings. School Photography – Take pictures of students, teachers, staff, premises, classes, etc,. Family Photography – Group photos can be tricky, and so you should be a good director. Baby Photography – Very difficult, but satisfies parents and enhances your reputation. If you possess the talent of designing and artistry, album designing business can be the best business option for you. Pictures of loving events are perfectly memorized with the albums. People can relive their wedding ceremonies and other memorable events by just folding over the album pages. You can design extraordinary and unique style albums to gain extra profit in this business. Design your own style to showcase pictures, your this kind of service may attract a lot of customers since creativity is always preferred. Stylized albums for babies, birthdays, engagements, and marriages are best sellers. Thematic gift books with ornate designs (10 pages and 2 sides) sell for Rs 2,200. Most of the students need additional help in school, and older teen students can help them amazingly. In general, children are more likely to pay attention to someone closer to their age, and teenagers are closer to having learned the material, converting teaching a win-win for both. Apart from basic academic teaching, teens can teach other skills, like computer, yoga, piano or other musical instruments, art, etc. Teens can teach anything in which they are expert. The more education and experience you get as a tutor, the more your charges will be. If you start tutoring at 16 year old age, by the time you’re 18, you are liable to charge one or two dollars more per hour if you continue your studies in the subject you teach. The time when you will be in college, you may be proficient to work for your college like a peer tutor and make more money. If you want to start tutoring business then you can Click Here for more detail. Babysitting or Child Care can be a good job for a lot of teens. This can be the best option because it’s flexible and most of the parents need it. You can help working parents by providing care when the children are out of the school. Teens can do more than just sitting inside the home and entertaining the kids. They are all free to take them to summer camp, to the park and pool, outdoor activities, and more. They can charge a higher amount if they arrange enriching activities, such as crafts and arts. The U.S. Bureau of Labor Statistics revealed that business of childcare will have the fastest growth than all other industries through 2020, and, as per the new data from Sageworks, child care businesses have constantly grown sales in the recent years. If you are a party insect, you can enjoy earning money by becoming a party entertainer. This is the profession where you work primarily at special events such as birthday parties etc. You can start this business by being a juggler, mime, standup comedian, balloon artist, or even magician who entertains people at parties and events. As far as the salary part is concerned, professional kids party entertainers earn around $60K per year. If gaming is your passion, you can make your career by trying your hands on opening a gaming center. A game center does not charge you a lot of money; you can start it with a single play station and expand it by your earnings. Since the biggest group of gamers are around 10 to 20 year old people, nobody will understand what a client needs in the Gaming Center better than a teen. Furthermore, the teenager can easily introduce their center to their friends as well as other fellow teenagers. This market can never get less hot, mainly in the era of a lot of excellent multiplayer games. If you are good at cooking and cooking is your hobby, then you can choose it to make money as well. Cooking and feeding hungry mouths is a great way to spend your summer holidays. Though you can even do it with your school if you only operate in evening and sell some hot snacks. The focus should be on strengths and minimal menu to cut down costs. Stick to Tiffin, snacks, chaats, and light meals if you are a newbie. They cost less and you can spend the rest of the budget on a mobile truck or kiosk. If you opt for a fixed location, then try to avoid rent, electricity bill, and operational costs. Home delivery of parcels and festival contracts are also viable for expert cooks. Delicious food always has great demand, and you can pocket good money. There are many options for starting you cooking business; some of them are Daily Parcel Delivery, Bespoke Catering, and Street Sales etc. Small-scale food sales could be around Rs 2000 – Rs 3000 sales per day. Like babysitting, pet sitting can also be the best business for teens. This work is very flexible and in high need. Pet sitters can stay at the home or visit a couple of times in a day to take care of the animals. Apart from feeding animals, pet sitters are liable to walk the dog as well as spend time with the pets, playing and/or petting with them. According to the report published by the APPA (American Pet Product Association), shows that although Americans loved pets, people who possess dogs were at 18.9 %, third on the pet scale. The result was: the annual growth for this pet-sitting business is at 3.1 % from 2009 to 2014, providing the combined revenue – with other services related to pet sitting – of $907m as on 2014. Moreover, in 2014, there were 22,787 individuals employed by dog relevant businesses and there were 18,144 dog service businesses. Your ability to use hands and tools to create beautiful objects can make you a very popular person in the industry. A crafty youth can design and deliver wooden, paper, metal, and plastic handicrafts. These small and handmade goods require minimum tools and maximum skill. You can craft pots, mats, vases, baskets, crochet, plates, footwear, etc., Exotic looking candle holders, glass art, decorated trinkets, wood toys, greeting cards, etc., also attract the customer’s attention. Build up a reputation gradually by focussing on sales at social gatherings, fairs, exhibitions, etc., The prices are variable, as you have to decide the cost of time/skill and add other expenses. Have a look at the various types of popular handicraft makers and their products. Purchase the raw materials in bulk or wholesale to reduce the final costs. These products and services are always in vogue as they are stylish and pretty. If you want to know how a teen girl making Rs 4-5lakhs per month then you can Click Here. As there is little or no experience is needed for gardening, the garden maintenance can be developed into a full-time business for teens, with a lot of demand for dependable and reliable individuals. Healthy, challenging, enjoyable, and outdoor work. It is a regular work, whatever amount you receive this month you will likely to get again next month. 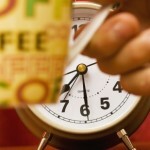 You can get flexible working hours. This business has the potential to earn a good wage. It is practically recession proof because gardening is necessary and needed regularly. Gardeners carry out many tasks, including trimming, watering, raking, planting, digging, hoeing & leaf-blowing, to keep customers’ yards looking pleasant and beautiful. You can potentially earn from $10 to $20 in an hour, as per the Bureau of Labor Statistics. Starting a complete moving service may be unrealistic for a teenager. But, as this a very demanding and profitable business, you can start with a business which helps individuals pack their stuff before moving and extend your services and business level with time and experience. If you have good customer service skills and you really love to serve the public then you should think about starting a packing business. Allow your clients to just drop off their stuff to be shipped and you take good care of the packing as well as shipping for a fast and hassle-free experience. Dedicate yourself to save customers time as well as provide thorough customer support. As per the research, around 43 million Americans move every year. Just for comparison, several years ago in 2009, the number of individuals who moved was around 31 million. Between the years from 2005 and 2013, the population of the USA has been rising, but furthermore, the number of individuals relocating has been rising for a number of reasons. So, packing and shipping is a very lucrative business to start and earn good amount of money. Teen magazines get so much popularity all over the world. I think you also read some yourself. They grant advice on interesting topics for teens such as dating and school and give entertainment about music and celebrities. If you enjoy such magazines or believe that you possess the valuable insight on what such magazines contain, and have a writing passion, you can consider writing for magazines. A lot of magazines feature columns written by the freelance writers, including the keen teenagers, and work submission is easier than you actually think. Gathering information as well as soliciting advertising for such kind of publication can be a little detail-oriented and time-consuming but it can also be an enlightening, fun, and educational process. The figure mentioned below provides you the statistic on the number of magazines in the US from the year 2002 to 2016. As per the report of the Statista quantity of magazines in the United States was highest in the year 2012, when 7,390 magazines circulated all over the American market and the demand is continuous and have the potential to increase in upcoming years. As there are a lot of ways to make money with the help of your talents, one of the simplest and cheapest ways is design and sell wallpapers online. You can click your own pictures or took them from the internet and then by using Adobe Photoshop or any other kind of picture editing tool you can design your wallpaper. The business of logo designing and selling is another easiest way for teens to make money by simply living at home without much investment. Find out how to get started now, even with little or no experience. To start this business, all you need to have is good software for making an attractive log, and you can use Adobe Photoshop or any other software on which you can trust. You can expand your business by asking around to your family and friends and advertising your services on social media platforms. Apart from this option, you can find clients on UpWork, Freelance, Fiverr kind of websites. For teenagers, with very less budget, candle making is a great business to start. It is one of those handfuls of businesses that need very little investments yet offers a satisfactory return on investments, particularly if you can capture a market which lacks supply. These candles are not only utilized for illumination and religious purposes; at present, candles are highly used in hotels, hospitals, and restaurants on a regular basis while they are occasionally utilized in homes too. Moreover, aromatherapy candles are very trendy these days when just a smell is sufficient to elevate someone’s mood! With a lot of boons and blessings, the business of candle making can be a grand and beneficial thing in your life. If you are good in studies and making school projects is your hobby, then project making and selling can be one of the good options to earn big sum of money. In this way, you will learn by fun and have a big potential to earn too. Making projects for science, maths and social studies and explaining it to students before selling is a great part of this business. You can advertise online and offline about your services. For offline marketing, you can get the assistance of friends, relatives, social gatherings, school events etc. If you can spend minimum Rs 5000 for pamphlets, then it can also help you allot in advertising your services. For online marketing, you can use social media platforms and freelancing sites (Mentioned in above points) to endorse your services. Your earning will depend on the type and level of project you are making. You will need to add your labor charges, material charges, and other charges (for example, charges of explanation and training if, you are offering this to the student).